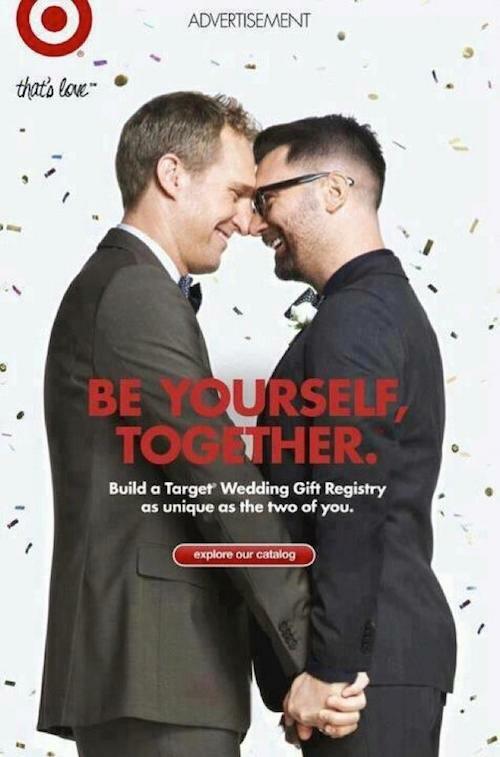 Following JC Penney and The Gap, low-price retailer Target has publicly taken sides in the United States' agonizing cultural struggle over equal marriage. Don't be fooled into thinking that they're doing it just to be nice, however — gay marriage is big business. Especially if One Million Moms reacts with predictable fear and anger, generating lots of free publicity.